Feeling stressed? You’re not alone. 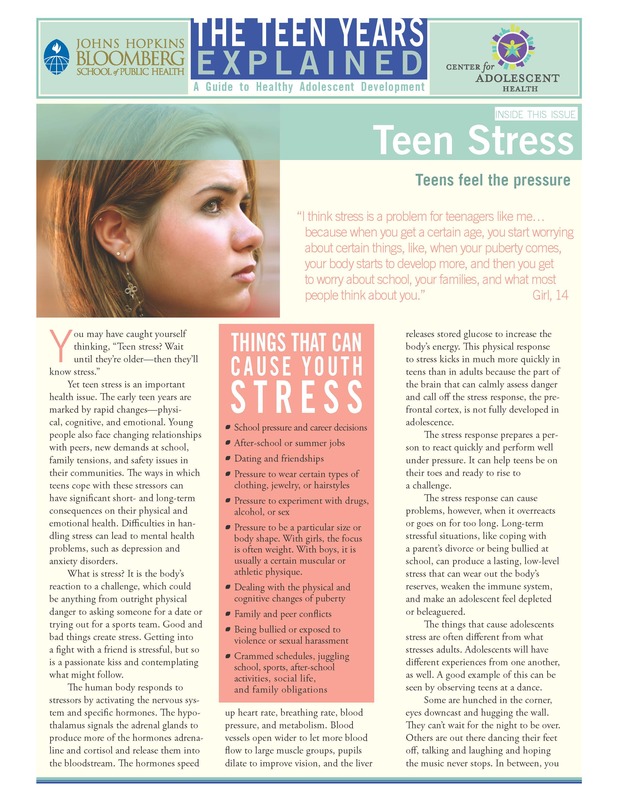 A 2013 survey by the APA found that stress is extremely common among teenagers. Teenagers who responded to the survey report they’re experiencing what they think are unhealthy levels of stress, especially during the school year. In fact, school is the top source of stress for teens. Getting into a good college or deciding what to do after high school is the second-biggest source of tension. The mind and body are closely connected, and stress can affect the body from head to toe. And in fact, the survey found teens experience both emotional and physical symptoms of stress. Common symptoms include feeling nervous or anxious, feeling tired, procrastinating or neglecting responsibilities, feeling overwhelmed, having negative thoughts and experiencing changes in sleeping habits. Problems with concentrating and changes in eating habits (eating too much or too little) are also linked to stress. It’s normal to have some stress in life. But if stress persists at high levels for a long time, it can have lasting negative effects on health. Chronic (long-term) stress can cause anxiety, high blood pressure and a weakened immune system, and can contribute to diseases such as depression, obesity and heart disease. Everyone is affected by stress at one time or another, and it can feel overwhelming. With the right tools, though, you can learn to manage stress before it takes a toll on your health. Managing daily stress can also lead to a more overall positive outlook on your life and well-being. Physical activity is one of the most effective stress busters. That doesn’t mean you have to go for a jog if you hate running. Find activities you enjoy and build them into your routine such as yoga, hiking, biking, skateboarding or walking. The best types of physical activities are those that have a social component. Whether you’re into team sports, or prefer kayaking or rollerblading with a friend or two, you’re more likely to have fun — and keep at it — if you’re being active with friends. Between homework, activities and hanging with friends, it can be hard to get enough sleep, especially during the school week. Ideally, adolescents should get nine hours a night. Most teens, though, are getting less. According to APA’s Stress in America Survey, teens say they sleep an average of just 7.4 hours on a school night. That’s unfortunate, since sleep is key for both physical and emotional well-being. To maximize your chance of sleeping soundly, cut back on watching TV or engaging in a lot of screen time in the late evening hours. Don’t drink caffeine late in the day and try not to do stimulating activities too close to bedtime. School is important, but it’s not everything. When you plan your week, schedule time to get schoolwork done, but also schedule time to have fun. When it’s time to enjoy yourself, try not to worry about school or homework. Focus on having fun. Besides physical activities, find other hobbies or activities that bring you joy. That might be listening to music, going to the movies or drawing. Make a point to keep doing these things even when you’re stressed and busy. Spend some time really thinking about the things you’re good at, and find ways to do more of those things. If you’re a math ace, you might tutor a younger neighbor who’s having trouble with the subject. If you are a spiritual person, you might volunteer at your church. If you’re artistic, take a photography class. Focusing on your strengths will help you keep your stresses in perspective. It’s so much easier to manage stress when you let others lend a hand. Talk to a parent, teacher or other trusted adult. They may be able to help you find new ways to manage stress. Or they may help put you in touch with a psychologist who is trained in helping people make healthy choices and manage stress. 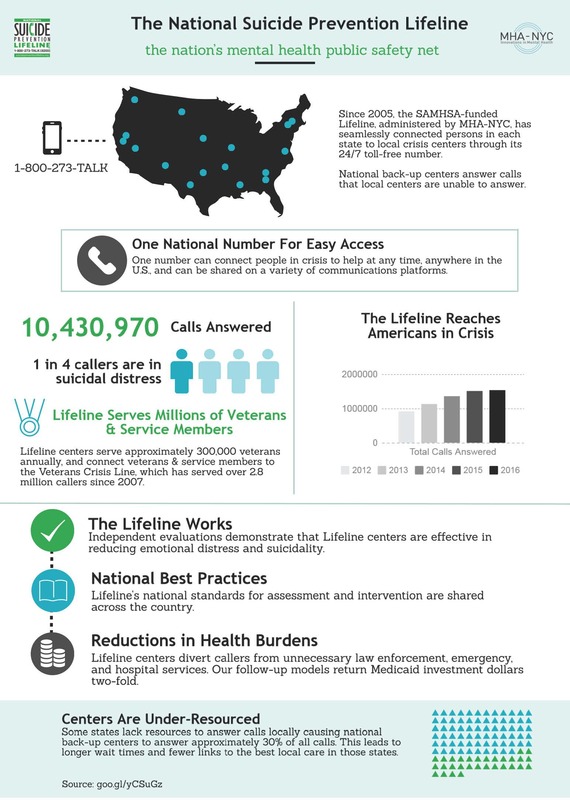 Reproduced from the American Psychological Association. NVLA does not endorse the service providers identified here and provides their information only as a public service.